Jesse and I are blessed with a wonderful Italian plum tree in our back yard and right now, its branches are loaded with fruit ready to be plucked. I’ve picked a lot already, but can only eat so many plums. 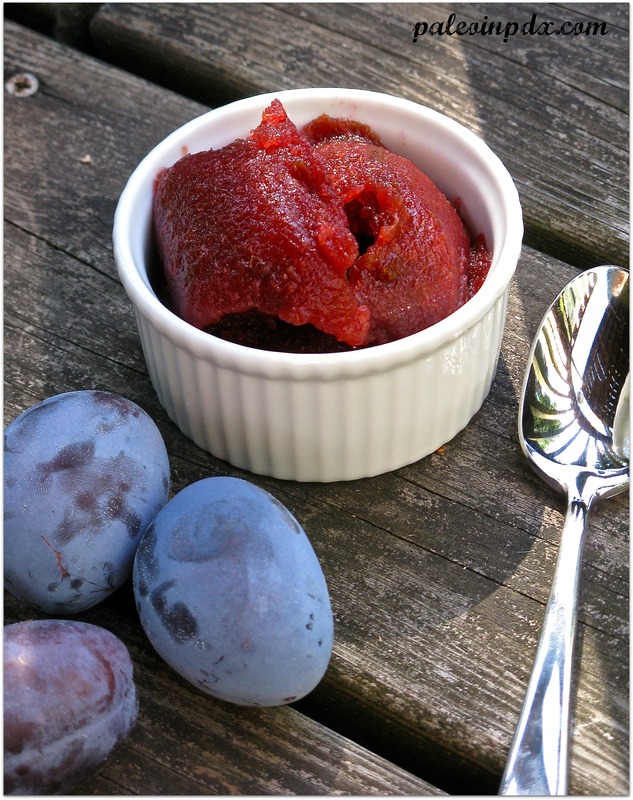 Generally, I like to make something with the plums, versus eat them on their own and actually, these particular plums are better for cooking anyway. 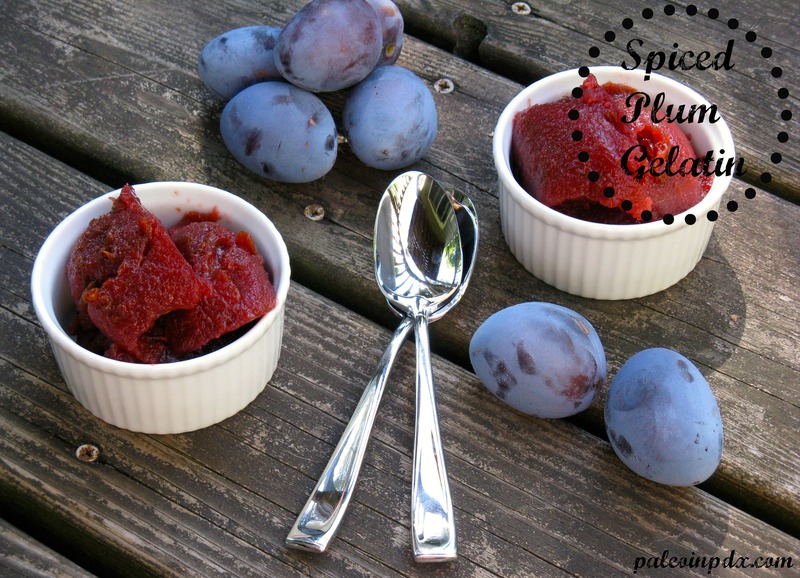 Because of the bounty of our tree, these pretty gems have definitely had their place in my kitchen lately, and this healing spiced plum gelatin recipe is just one of the things I experimented with. It is slightly tart, a little sweet and rich in flavor. I think I could eat this gelatin with just about every meal! To get the most from the nutrients, make sure to choose a high-quality, grass-fed gelatin. Heat a large saucepan over medium heat. Add the plums, lemon juice, water and raw honey. Stir and let cook down for about 4-5 minutes. Next, add the cinnamon sticks, ginger and Himalayan sea salt. Stir well and bring to a simmer over medium-low heat. Continue to simmer 15-25 minutes or until plums have broken down and the mixture is saucy. Remove cinnamon sticks and pour in the gelatin powder. Stir continuously for a couple minutes, until gelatin is completely dissolved. Remove from heat and pour into a large bowl or into individual dishes. Refrigerate for a few hours or overnight to set. Oh my sounds amazing! I bet you could make gummy snacks from this as well right? Probably, but you’d have to use more gelatin for them to be firmer. This would make too soft of gummies. I don’t have any small enough molds to make gummies — muffin tins are too big! Hello, have you been able to find grass-fed gelatin locally in Portland? I am not having much luck – I can only find it online. I’ve never come across it anywhere in Portland and always buy it on Amazon. There may be some co-ops or natural food stores that carry it, but if there are, I’m not aware of them.